J. C. Hodges was thanking Martha Berry for a recent visit to Berry schools describing the beauty of the grounds and the great work she does with students. 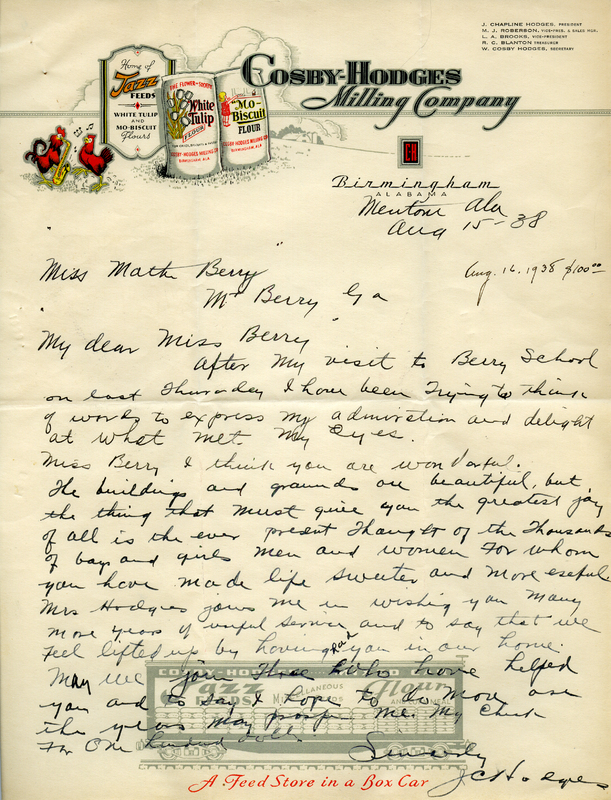 J. C. Hodges, “Letter to Martha Berry, from J. C. Hodges.” Martha Berry Digital Archive. Eds. Schlitz, Stephanie A., Christy Snider, Jessica Hornbuckle, et al. Mount Berry: Berry College, 2016. accessed April 23, 2019, https://mbda.berry.edu/items/show/14535.